Wiley X sunglasses are built for comfort and protection whatever your outdoor activities. 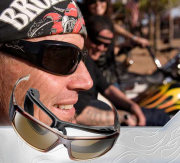 Motorcycle, shooting, hunting – Wiley X has a high performace frame to help you perform your best. Come see the line with features like Climate Control removable facial cavity seal, Top-Down Ventilation, rugged frames construction and many types of prescription lenses.